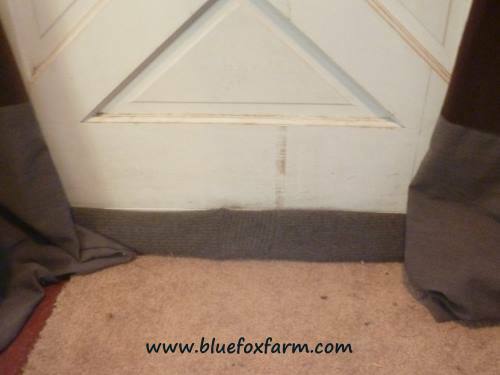 If you live in a cold climate and heat your home, the last thing you need is a cold draft coming in under the door. 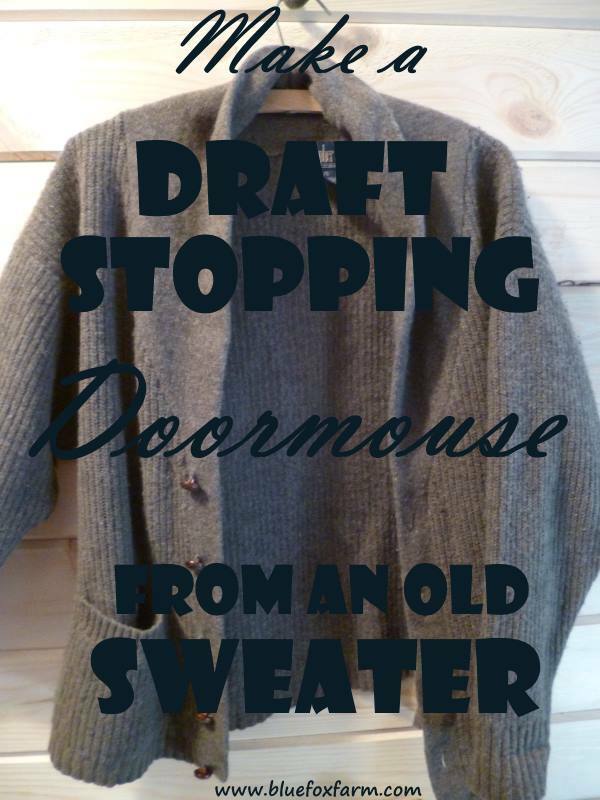 Here's how you can remake an old sweater into a useful doormouse to stop those sneaky drafts. Winter is coming, and draft is coming in under the door, no matter how much weather stripping you've applied. There's not much you can do about the way the door fits until the springtime, so here's a stop gap. You most likely have an old sweater that you hate to throw away. 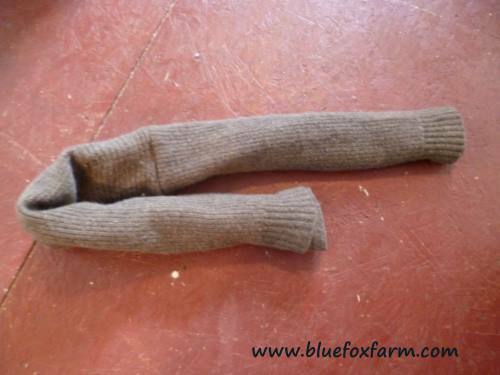 If it's wool, and got put in the dryer, it will never be the same again. 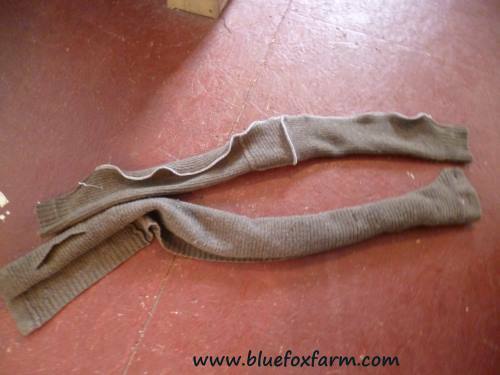 Felting is done this way, so if your sweater has had this happen, this is the perfect use for it. 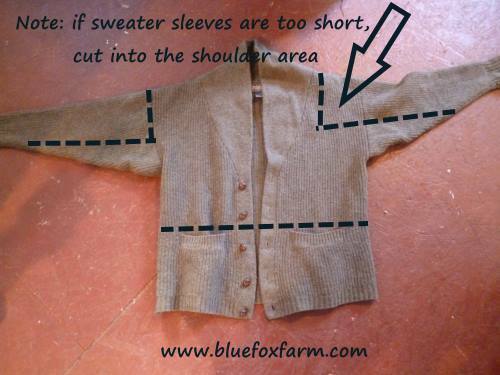 Cut your sweater along the lines shown. 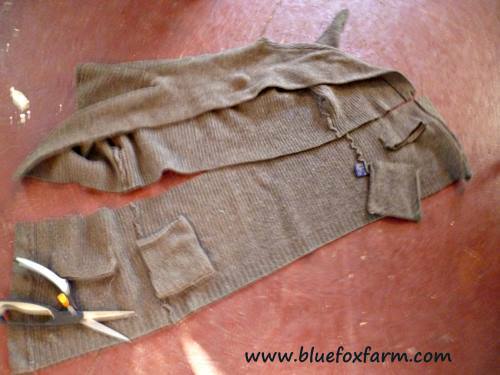 If the sweater is small, continue the cutting line into the shoulder to make the finished doormouse longer. Men's sweaters are larger, so you may just need the sleeves. Measure your door and add about six inches and that's what to aim for. Cut off any extra thickness, like pockets, so they don't make it lumpy. I sewed mine with a serger, just for speed, but you can sew it by hand or with a straight stitch machine using a zig zag stitch if you prefer. The bottom part of the sweater (in this case a cardigan style) is cut off to stuff the doormouse. It is rolled into a loose tube and pulled through the outer layer. And there you have it. Now it's doing its duty as a draft stopper and if you like you can actually staple, screw or hang it on the door itself so when you go out it still performs its function.